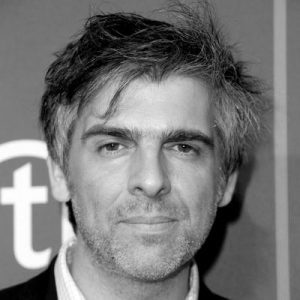 Laurent Perez del Mar is critically acclaimed for his work on the score for the Academy nominated feature film The Red Turtle, produced by the famous studio Ghibli. His score was awarded numerous times, including at the prestigious International Films Critics Association in 2017. Laurent received nominations for an Annie Award and Prix Lumières in the best music category. Laurent’s additional animation work includes the score for Zarafa, nominated for the César in 2012, and Wolfy, The Incredible Secret which won the César in 2014. In addition to his animated repertoire, Laurent is also comfortable composing for dramatic films such as My Son directed by Christian Carion featuring Guillaume Canet and Melanie Laurent, Antigang featuring Jean Reno, and Carole Matthieu featuring Isabelle Adjani. His most recent work is the feature film, I Kill Giants directed by Anders Walter. Born in Nice, Laurent Perez Del Mar started playing the piano at a very early age. He studied music at the Conservatoire and majored in music composition. Laurent Perez Del Mar currently resides in Paris.